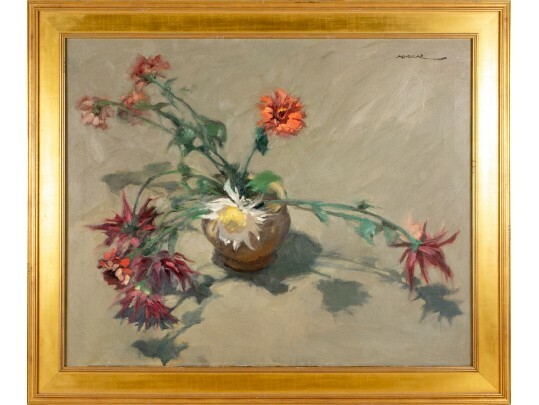 Oil on canvas with a brown short bulbous vase with long stemmed flowers hanging over the vase, casting their shadows onto the tabletop surface that blends into the background. Presented in a lavish gilt frame. Sight: 31 1/4" x 25 1/4"
Frame: 37 1/2" x 31 1/4"